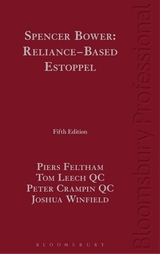 Spencer Bower: Reliance-Based Estoppel, previously titled Estoppel by Representation, is the highly regarded and long established textbook on the doctrines of reliance-based estoppel, by which a party is prevented from changing his position if he has induced another to rely on it such that the other will suffer by that change. Since the fourth edition in 2003 the House of Lords has decided two proprietary estoppel cases, Cobbe v Yeoman's Row Property Management Ltd and Thorner v Major, whose combined effect is identified as helping to define a criterion for a reliance-based estoppel founded on a representation, namely that the party estopped actually intends the estoppel raiser to act in reliance on the representation, or is reasonably understood to intend him so to act. 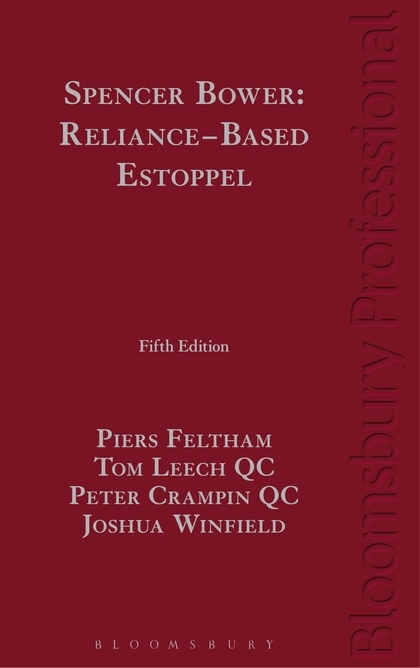 Other developments in the doctrine of proprietary estoppel have required a complete revision of the related chapter, Chapter 12, in this edition. 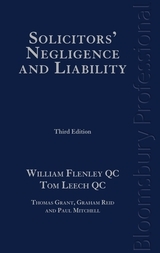 Thorner v Major confirms too the submission in the fourth edition that unequivocality is a requirement for any reliance-based estoppel founded on a representation. Other views expressed in the fourth edition are also noted to have been upheld, such as the recognition that an estoppel may be founded on a representation of law (Briggs v Gleeds), that a party may preclude itself from denying a proposition by contract as well as another's reliance (Peekay Intermark Ltd v Australia and New Zealand Banking Group Ltd and Springwell Navigation Corp v JP Morgan Chase Bank) and that an estoppel by deed binds by agreement or declaration under seal rather than by reason of reliance (Prime Sight Ltd v Lavarello). With the adjustment reflected in the change of title, and distinguishing the foundation of estoppels that bind by deed and by contract, the editors adopt Spencer Bower's unificatory project by the identification of the reliance-based estoppels as aspects of a single principle preventing a change of position that would be unfair by reason of responsibility for prejudicial reliance. From this follow the views: that reliance-based estoppels have common requirements of responsibility, causation and prejudice; that estoppel by representation of fact is, like the other reliance-based estoppels, a rule of law; that the result of estoppel by representation of fact may, accordingly, be mitigated on equitable grounds to avoid injustice; that the result of an estoppel by convention depends on whether its subject matter is factual, promissory or proprietary; that a reliance-based estoppel (other than a proprietary estoppel, which uniquely generates a cause of action) may be deployed to complete a cause of action where, absent the estoppel, a cause of action would not lie, unless it would unacceptably subvert a rule of law (in particular the doctrine of consideration); that an estoppel as to a right in or over property generates a discretionary remedy; and that the prohibition on the deployment of a promissory estoppel as a sword should be understood as an application of the defence of illegality, viz that an estoppel may not unacceptably subvert a statute or rule of law.